Despite already having secured a couple of sites for private residential redevelopment, property developer UOL Group is still eyeing for more – in both the collective sale market and government land tenders. 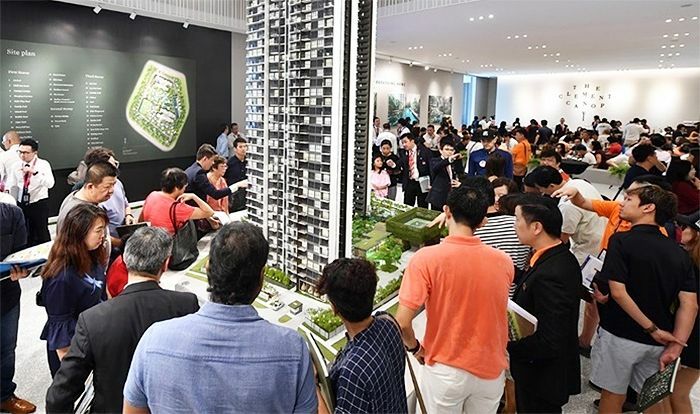 However, UOL Group has expressed its concern over the exorbitant land prices and noted that a couple of en bloc sites were closed without a buyer because the reserve price of these sites just wasn’t feasible for the group. UOL Group has mentioned that it is optimistic about the economic outlook and expects to see property prices continue to scale greater heights. Earlier on in 2017, UOL acquired a freehold site at 45 Amber Road and the new condominium project, named Amber 45 will be a 21-storey private residential development, consisting of 139 units in total. According to the developer, Amber 45 will likely be used as a “test bed” to see how buyers will respond to higher prices and the new launch at Amber Road will likely be priced from $2,000 psf onwards. UOL has also acquired former HUDC Raintree Gardens at Potong Pasir via an en bloc sale back in October 2016 and plans have been made to redevelop it into a 729-unit private condominium. Both projects are expected to launch this year in 2018.